In Virtual Reality the viewer overcomes the limited surface of a computer screen. Instead of looking through a window, the viewer exits real surroundings to become part of another world. 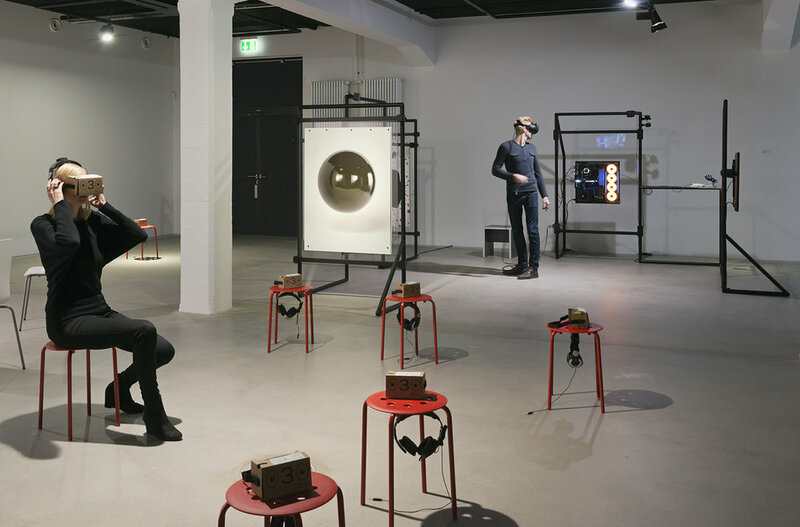 The exhibition is the first comprehensive presentation of the artistic use of the VR medium at HeK (House of Electronic Arts Basel). The group exhibition presents various artistic approaches towards the medium that has been impacting many realms of life since mass-market VR technologies were launched in early 2016. These technologies will continue to significantly transform in the years and decades to come. The artistic works in the exhibition convey the aesthetic potential of Virtual Reality and examine its role as a critical medium for reflection on states of being in the world today. The works addresses architecture and urbanity, bodily perception and physical laws, social issues, poetry, performance, gender and identity. In addition VR technologies such as HTC Vive, Oculus Rift and Google Cardboard will be introduced. The desire of humanity to become immersed and to delve into new worlds has always been present—like the inner chambers of Egyptian pyramids, the frescoed rooms of the Renaissance, panoramas or vast cinema screens. Looking at a flat surface remains a passive experience for the viewer, ever aware of the limited screen and the real environment. In Virtual Reality, the beholder now perceives surroundings in a 360-degree all-round range in 3D from a personal point of view and explores them using a head-mounted display, a controller and body movement. As an active component and central point, the viewer or user moves around in the illusionary space and senses a self-presence as well as the proportions and dimensions of the surroundings. In the exhibition, the visitor becomes a part of virtual artworks, which are thereby lifted from the pedestal of sublime admiration and brought closer to the reality of the viewer's life. 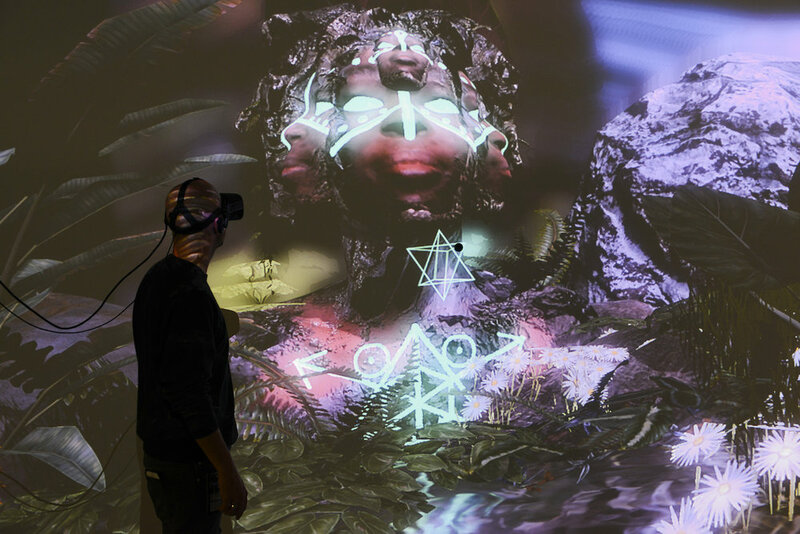 The Unframed World: Virtual Reality as artistic medium for the 21st century introduces VR experiences by nine international artists that are embedded in their installations, projections, video works or sculptures in the exhibition space. The exhibition offers not only a virtual and immersive experience, but also a real and physical one. The Unframed World is HeK's most visited show. here (in English) and here (in German).